The color is the key moment defining the emotional orientation of the bouquet. Gerberas are famous for their diverse shades, and the selected rainbow color range sounds vitally. Hypericum berries create form contrast to large flowers and girdle the solid bouquet with lacy lightness. 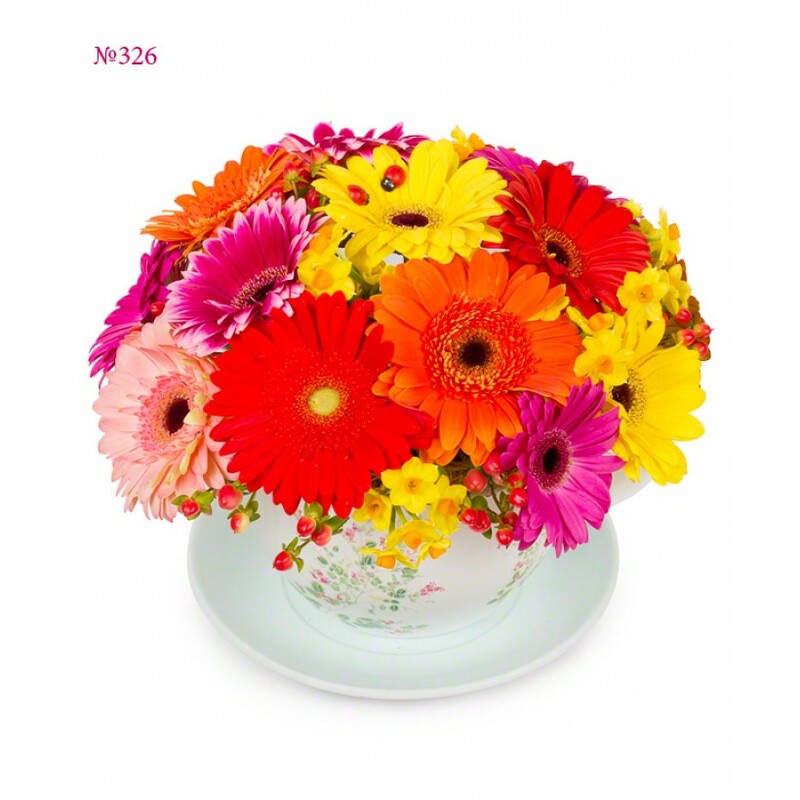 The arrangement is placed in a bowl. Such a gift will grant a feeling of summer light-heartedness, sunny weather and joy.